The Dallas News interviewed Jake Oettinger and Head Coach Albie O’Connell about how the 6’5” netminder and 2017 Stars’ first-round draft choice has prepared for his junior season at BU, which could be his final one on Comm Ave if he chooses to turn pro in the Spring. 2019 recruit Alex Vlasic assisted on a pair of goals as Team USA routed Sweden by a score of 8-2 in the Under 18 Five Nations Tournament in Kravare, Czech Republic. Fellow recruit Case McCarthy, who was +4 for the game, also recorded an assist as did Trevor Zegras. Team USA takes on the host Czech team today at 1 p.m. ET. with six future Terriers in the U.S. line-up (Live stream and line-up links). 2019 recruit Robert Mastrosimone (photo) and 2020 recruit Cade Webber were added to the Team USA roster for this first international tournament for the U18s. 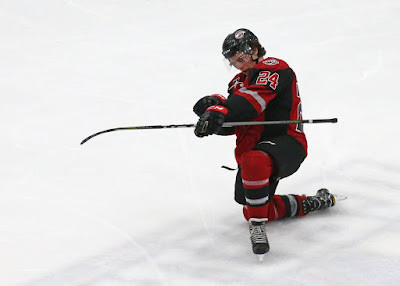 Mastrosimone is the Chicago Steel's leading scorer (8-5-13) and also played for Team USA in the Hlinka-Gretzky Cup this past summer. 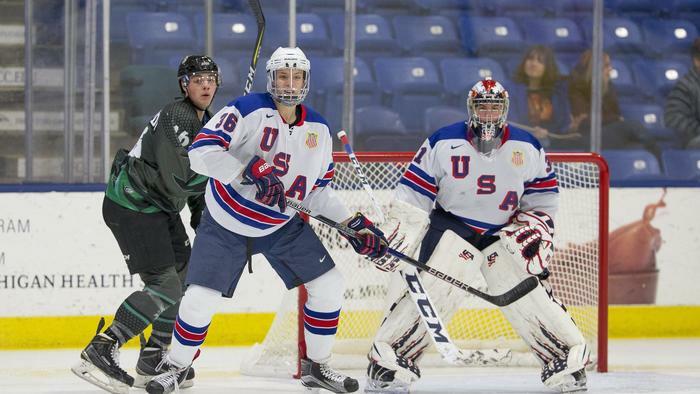 Webber, a 6’4” defenseman playing for Shawn McEachern at The Rivers School, played for the NTDP U18s in their recent exhibition games against BU and Harvard. Both participated in the 2018 All-American Prospects Game in St. Paul, Minnesota. 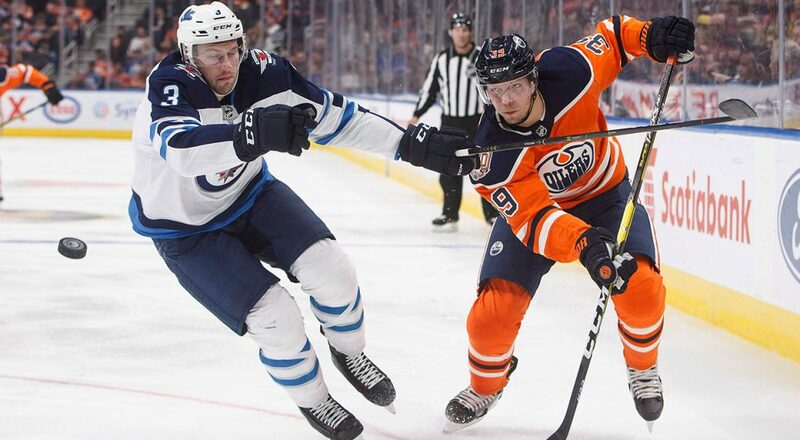 The Sporting News spoke with Alex Chiasson about the spate of goal-scoring that earned him a slot on the Oilers’ second line and his reunion with former Capitals teammates to receive his Stanley Cup ring. Nick Bonino assisted on three goals—doubling his season point total—in Nashville’s 4-1 win against Colorado. We’re so grateful to be able to do a small part in serving the Colorado community. 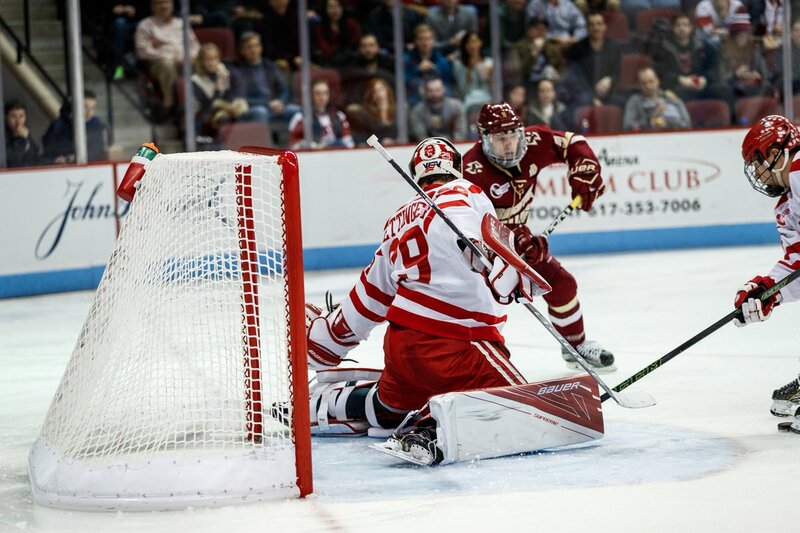 Terriers return to the ice Friday with a road game against Connecticut in Storrs.